They've become all the rage in the kitchen, but are air fryers healthy? Read about the pros and cons to get the full picture on this trendy kitchen gadget. Are air-fryers healthy? Air-fried food is a better option than deep-fried food, because of reduced calories and fats, but... it's still fried food. Just like cultural, social, and food trends, we’ve seen kitchen gadget trends come and go over the years, some of them sticking around for the long haul, others falling out of favor. Among those that have made an impact: the 1920s pop-up toaster, the 1930s Kitchen Aid stand mixer, and the 1970s crockpot. And like me, you’ve probably got a 1990s George Forman grill stashed away somewhere (or maybe you still use it). Popular during our low-fat-crazed years, it drains meat fat into a separate reservoir. 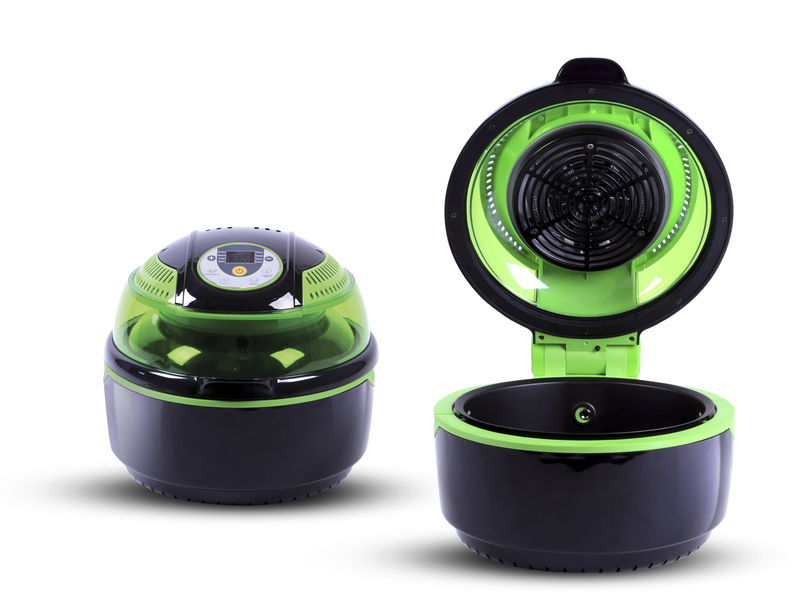 With our more recent obsession to eat healthfully, air fryers have become all the rage. This gadget allows us to remove some fat from our cooking, and to (almost!) cook without fat altogether. But are air fryers healthy? For the answer, let’s consider how the air fryer—first launched in Europe and Australia in 2010—operates. Air fryers work via “Rapid Air Technology”—they circulate heat at high temperatures, typically between 300 and 400 degrees Fahrenheit. They conveniently allow you to fry, bake, or grill a variety of foods without using much oil—just tiny oil droplets. You’ll need only about a tablespoon with most air fryers, making deep-frying a thing of the past. When cooked with an air fryer, your food won’t dry out like it would with a dehydrator. Proponents note that cooking with an air fryer will give your food a crispy outer texture while keeping it moist inside. You can cook a wide range of foods in an air fryer, from “no-longer-greasy” fries, chips, and onion rings to chicken fingers and pastries. The Food Is Enticing, But… Are Air Fryers Healthy? As much as air fryers have their pros, they certainly don’t come without cons. So before you get too excited, it’s important to get the full picture. Like every gadget on the market, there are positive and negative attributes. In the case of air fryers, the jury seems to be out as to whether air-fried food is better for you. The main appeal to air frying is that it reduces a food’s calorie count (usually by more than half) compared to deep frying or frying in a pan. This is a plus if you need to watch your calories or lose weight due to medical reasons. Eliminating large amounts of oil from recipes also makes the fat content in food lower. If you’d otherwise use unhealthy fats (such as hydrogenated vegetable oil, which contains harmful trans fats), the reduced fats from air frying is beneficial. Additionally, food cooked in an air fryer may contain fewer harmful compounds, like acrylamide, compared to traditionally fried foods. Why Else Would You Buy an Air Fryer? Unlike boiling and baking, air-frying can improve the texture and taste of your foods by making them crispier and more flavorful. And they won’t leave the strong scent that frying leaves behind (although might actually miss that!). You’ll also enjoy the added benefit of saving time in the kitchen. You can prep and cook foods much faster than cooking in the oven—and you’ll be left with less of a mess to clean up. What Are the Disadvantages of Air-Frying? The foods you cook in an air fryer won’t be deep-fried and will contain very little oil, but they’re still considered fried foods (hot temperatures combined with oil). Fried foods, particularly those fried in oils made up of trans fats, have been associated with a number of health issues, including cardiovascular disease and cancer. Also, the idea that you’re consuming fewer calories due to air frying can cause you to overindulge and put even more calories into your diet than you would have otherwise. If frequently air-frying foods, you significantly reduce the many health benefits of healthy unsaturated fats like olive oil and avocado oil. We need fat in our diet in moderation for immune, brain, heart, and hormonal health. 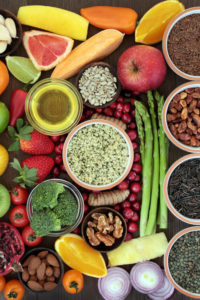 (See our post “A Complete Nutrition Diet Should Include Fats—Healthy Fats.”) These fats also provide key nutrients to help develop and maintain your body’s cells. So what’s the bottom line? Are air fryers healthy? Research on air-fried food is extremely limited; recommending this cooking method as a “better” way to cook or fry is not necessarily supported. In fact, the notion that air frying is a superior cooking method can lead to overuse, which would eliminate the benefits. acrylamide, are air fryers healthy, brain, calories, cancer, cardiovascular, cardiovascular disease, complete nutrition, cooking, diet, food, health, healthy fats, Lose Weight, nutrients, nutrition, nutrition diet, vegetable oil. I thought you might be interested in this article on https://universityhealthnews.com: Are Air Fryers Healthy?